When renowned chef Alex Munoz Labart decided to move north in search of a sea change, Sydney’s loss soon became the Gold Coast’s gain. A very significant gain. 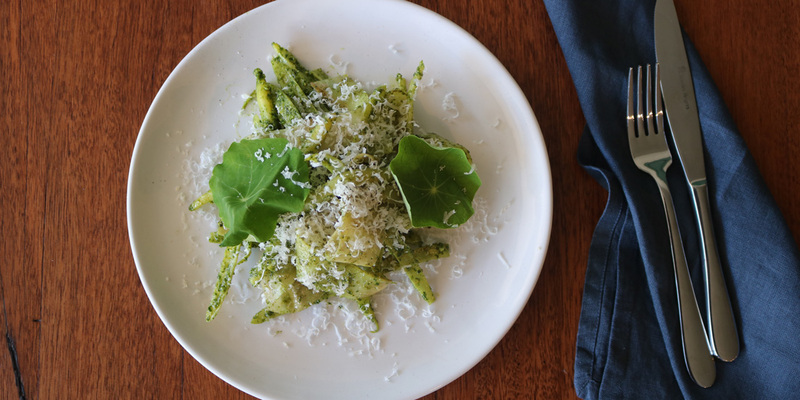 This week Alex and his wife Karla opened the doors to their first venture, Restaurant Labart in Burleigh Heads, which has been touted as one of the most anticipated new additions to the city’s dining scene – and for good reason. Alex and Karla Munoz Labart are no strangers to the Gold Coast. Karla grew up here, Alex did a chef stint here in the early days, and the duo refer to Burleigh Heads as their second home. Over the years their holidays to the Gold Coast became more frequent and they eagerly watched on as the restaurant scene here started to flourish. They soon realised they were ready for a sea change – and that Gold Coast was ready for Restaurant Labart. The opening of the 60-seat venue, nestled at the top of Burleigh’s James Street, marks a career-long ambition for Alex who has refined his craft alongside the likes of Mark Best, Brent Savage, Pasi Petanen and Karl Firla, and in the kitchens of hatted establishments like Cirrus Dining and (most recently) Monopole in Potts Point. The former Burleigh Chinese site at the top of James Street has been completely transformed and reimagined, revealing a refined-yet-convivial 60-seat dining space and an impressive open-plan charcoal grill-equipped kitchen. 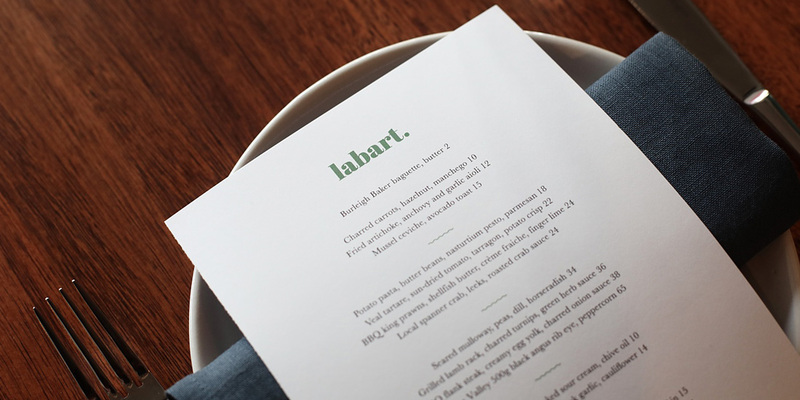 While Alex is armed with fine-dining credentials, Restaurant Labart takes a refreshing step away from formality – a tone that is set as soon as you walk through the door. 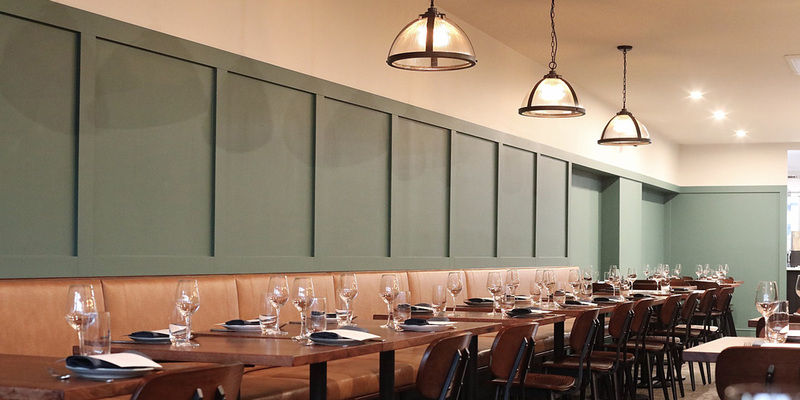 The walnut tables remain undressed, swapping white linen for the subtle tones of Marloe Marloe tablewear, and are cocooned by a tan leather-trimmed banquette seat that runs the length of the restaurant. There’s limited bar seating for sippers and snackers, which doubles as an ideal vantage point to catch the action of the kitchen. The ethos here is circled around sustainability, seasonality and simplicity – and while food is the driver, hospitality remains paramount. Alex’s thoughtfully curated menus will rotate regularly, depending on the best produce that the local region can throw at him. The succinct offering will cover bar snacks, small plates and larger dishes, topped off by a series of desserts. As for the snacks and smaller plates, think charred carrots with hazelnut butter and manchego, fried artichoke with an anchovy and garlic aioli, and veal tartare with sun-dried tomato, tarragon and potato crisps. For the mains you’ll find creations like seared mulloway with peas, dill and horseradish, while dishes like the barbecued flank steak with creamy egg yolk and charred-onion sauce kick the charcoal grill into action. To finish? Yoghurt sorbet with glazed pear, star anise and milk skin. The menu is underscored by a concise and polished cellar list featuring both smaller Australian producers and notable international winemakers, while giving a respectful nod to biodynamic and natural varieties. There’s also a selection of seasonal cocktails, boutique spirits and craft beers. You’ll find Restaurant Labart’s opening hours, location and contact details over in our Stumble Guide. Food images courtesy of Restaurant Labart.